Get excited for a welcoming atmosphere reminiscent of the Mediterranean at the upcoming North Hills restaurant Rosewater, projected to open in 2019. Rosewater's goal is to combine seasonal, responsibly-sourced NC ingredients and Mediterranean flavors. It will be located in the old Bruegger's space between the Captrust and Bank of America buildings. 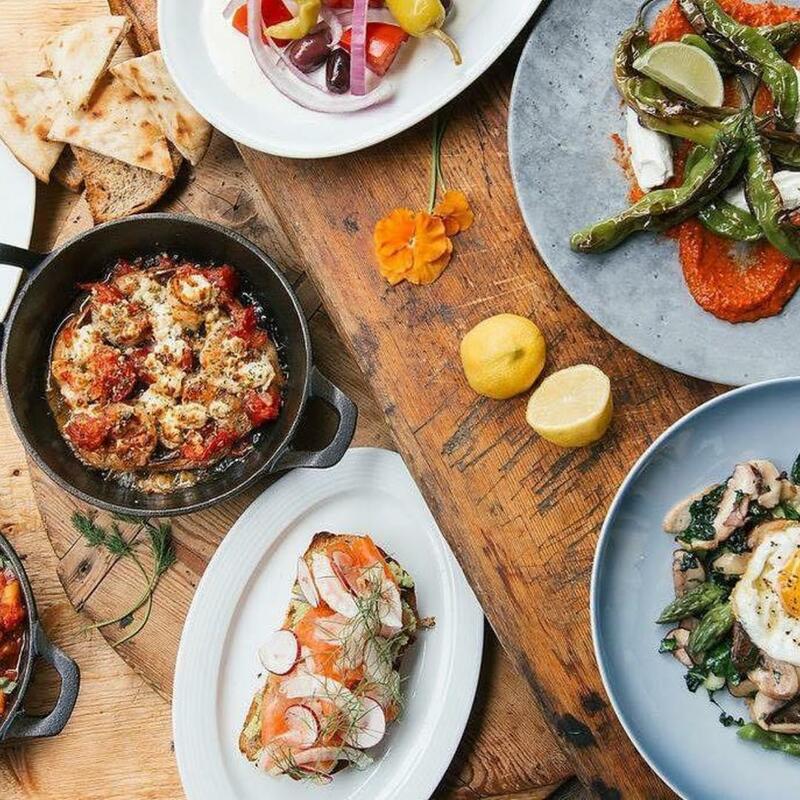 In addition to a full-service dinner service, Rosewater plans to offer grab-and-go lunch options and a weekend brunch. There will also be craft cocktails and a well-curated wine selection. Rosewater will be the first restaurant by Giorgios Group in Raleigh. The group has restaurants in Durham, Chapel Hill, Wake Forest, and Asheville including Vin Rouge, Parizade, and Bin 54. Check out some of the group's other spaces below and get excited for what's to come here.